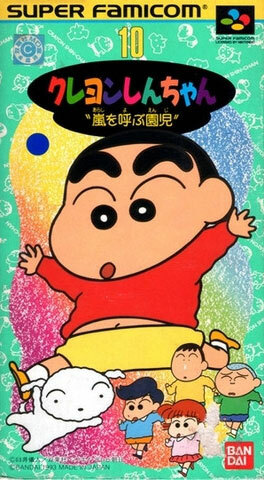 Fitting into the action platform genre comes a licensed game based on the escapades of the well known (at least in Japan) Shin Chan - drawn as if by crayon. Full of imagination and a refreshing visual style and never lacking in colour. Second hand. Lots of manual cover creases. Wear around edges of box.